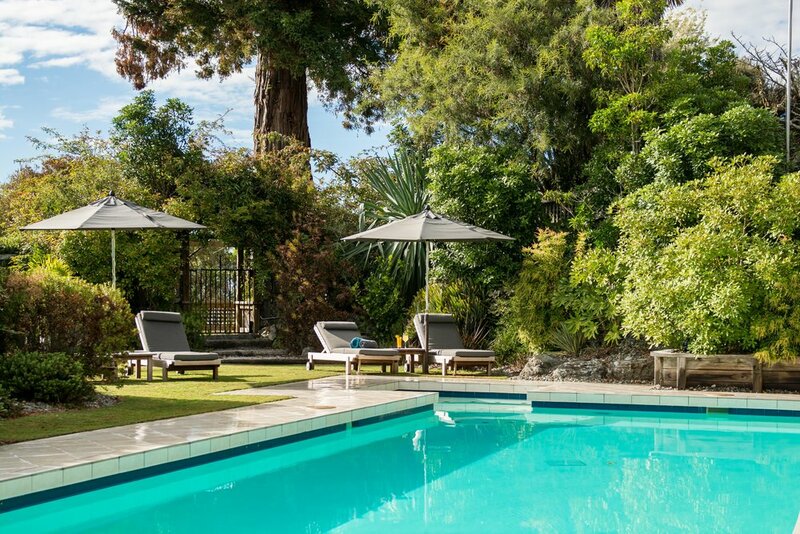 The stylish retreat at Te Koi the Lodge is so luxuriously comfortable you will be reluctant to leave. Step out onto your own deck and look across the Waimea Estuary to Nelson and the Richmond Ranges. All our Villas and Suites have been completely refurbished to offer a stylish experience with careful attention to design detailing. Return to your Villa after a day of sightseeing to a glass of fine local wine and a freshly baked delicacy on the deck as you watch the evening unfold. All our Villas and Suites feature a private deck offering sea views across the Waimea Estuary. The beautifully designed rooms feature a curated selection of local art from our own collection. Each Villa includes a refrigerator and a 42-inch flat-screen TV with satellite channels. All have an ensuite bathroom with a walk-in shower and bathtub or spa bath. Enjoy superb linen, fresh flowers, freshly baked selection of seasonal treats. The non alcoholic refreshment bar in every room is complimentary. We can also offer guests a selection of award-winning wines from wineries in close proximity to the Lodge. Massages and Yoga can be arranged upon request. 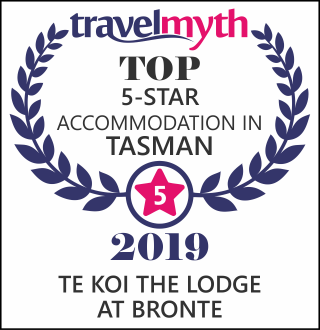 With two helipads, Te Koi The Lodge also provides convenient access to the many internationally renowned attractions in the Nelson and Top of The South region. Enjoy the heated swimming pool and tennis court all year round. Be collected right outside your door for an unforgettable tour some of the internationally renowned attractions in the Nelson and Top of The South region with our specially arranged helicopter charters. Enquire at the Lodge or book in advance.